TGS-NOPEC Geophysical Company has entered a final agreement with Angolan oil company Sonangol to start the acquisition of a 3D multi-client survey covering 12,500km2, offshore Angola. TGS will initially begin the survey over blocks 36 and 37 this month, then continue to block 35. The acquisition will be complete during the third quarter of 2012. TGS senior vice-president Rod Starr said that the company is looking forward to a new, long-term relationship with Sonangol to support oil and gas exploration in the Republic of Angola. The deepwater pre-salt blocks were awarded by Sonangol to exploration and production companies in late December 2011. The high-potential pre-salt hydrocarbon play lies between 2,000m and 5,000m below sea level. The pre-salt basins are believed to be similar to hydrocarbon-rich basins offshore Brazil, and the survey will open a new frontier in petroleum exploration. 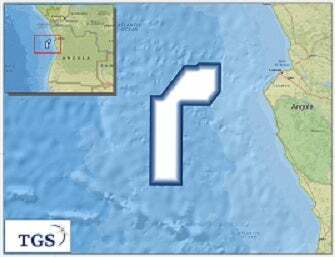 "[TGS’s] commitment to expanding multi-client data in the offshore areas of West Africa has extended over ten years, and we are excited to have the opportunity to now add 3D data in offshore Angola to the TGS data library," said Starr. TGS will process the 3D seismic data using its proven sub-salt capability, which was developed in similar basins. Preliminary data will be available to participating companies in the fourth quarter of 2012, with a final processed product in the fourth quarter of 2013. The survey is supported by industry funding. TGS provides multi-client geoscience data and services to oil and gas exploration and production companies around the globe. Image: The pre-salt basins offshore Angola are believed to be similar to prolific basins offshore Brazil.